Composed by Various. Arranged by Kenneth D. Friedrich. Christmas. Score, Set of Parts. 39 pages. Published by KFS Publishing (S0.191625). 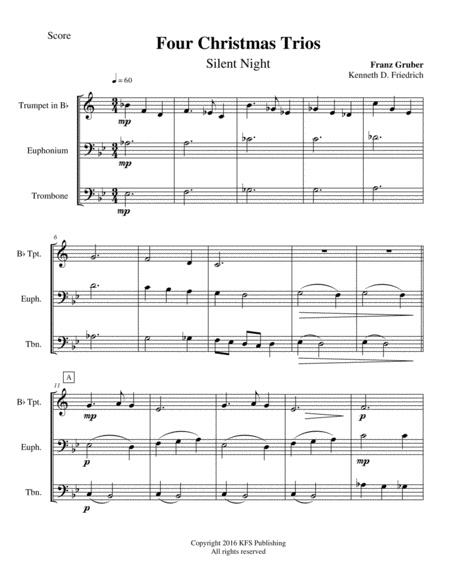 Silent Night, Go Tell It On The Mountain, In The Bleak Midwinter, and What Child Is This, uniquely arranged for the brass trio of trumpet, trombone, and euphonium (bass and treble clef parts included).